We are thrilled to share the Historic Heisler Hotel with you! We would love to have you aboard on June 11! “A Little Heat Goes A Long Way!” This is the name of our fundraiser on April 9 in Galahad. Come join us for an evening that offers a delicious meal, live and silent auctions and dancing to Canadian Recording Artist, The Tracy Millar Band. Hope to see you there! Huge thanks to our local newspapers, the Community Press and the Castor Advance for supporting the Friends of the Battle River Rail projects. 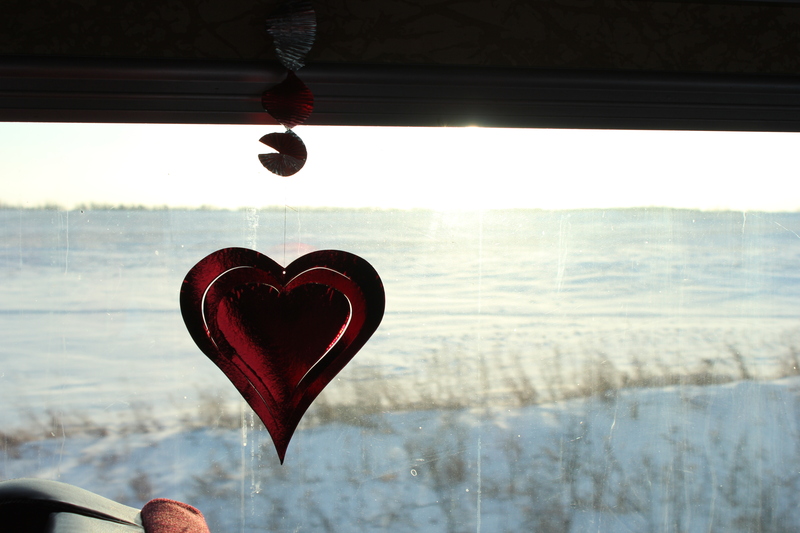 On Sunday, February 8, the Friends of the Battle River Railway Passenger Car were thrilled to welcome 76 sassy passengers for a day of fun, frolic and romance as we travelled from Alliance to Kelsey, Alberta to enjoy the well-known Kelsey Dinner Theatre. 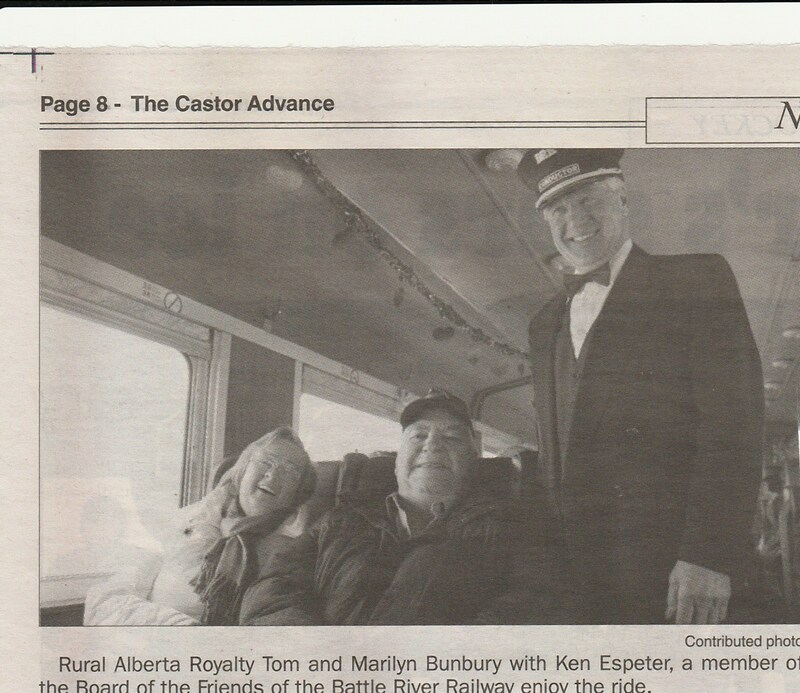 We were certainly pleased to welcome Rural Alberta Royalty, Tom and Marilyn Bunbury to ride the rails with us. Tom and Marilyn are known throughout Flagstaff and Paintearth Counties for their humor, community involvement and all around good nature. 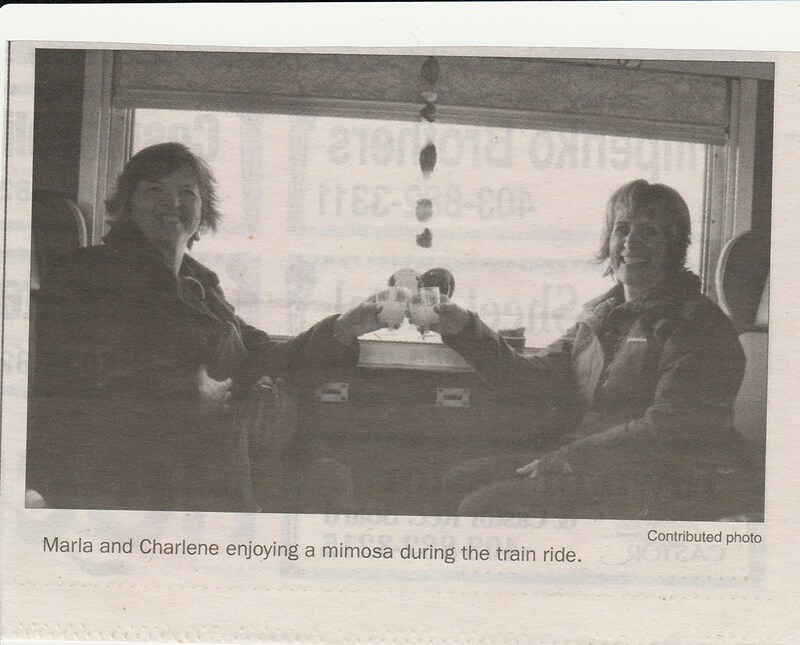 What a thrill for us to have them as ambassadors for our train excursions. Tom and Marilyn began their day in Alliance at 9:30am, upon arrival they were treated with home-made cinnamon buns made by Dayslands own, Anne Ekelund and coffee with a little something special added. We stopped along the rails to pick up more passengers in Forestburg and Heisler. 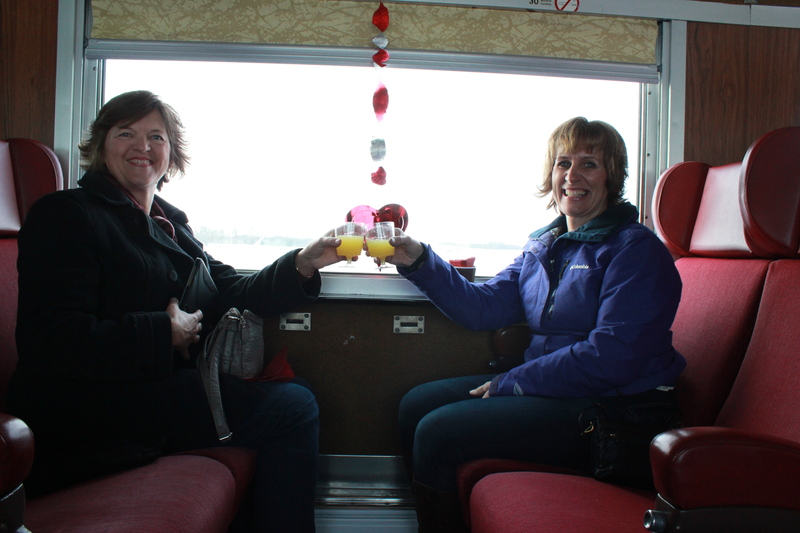 All our guests were treated to mimosas and chocolate covered strawberries. 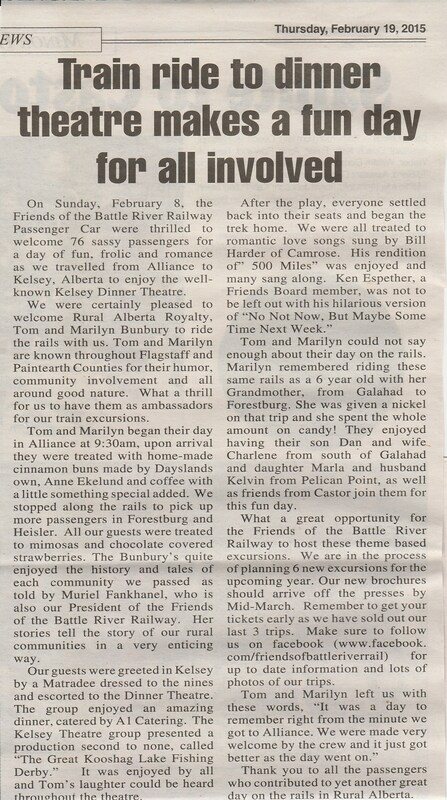 The Bunbury’s quite enjoyed the history and tales of each community we passed as told by Muriel Fankhanel, who is also our President of the Friends of the Battle River Railway. Her stories tell the story of our rural communities in a very enticing way. Our guests were greeted in Kelsey by a Matradee dressed to the nines and escorted to the Dinner Theatre. The group enjoyed an amazing dinner, catered by A1 Catering. 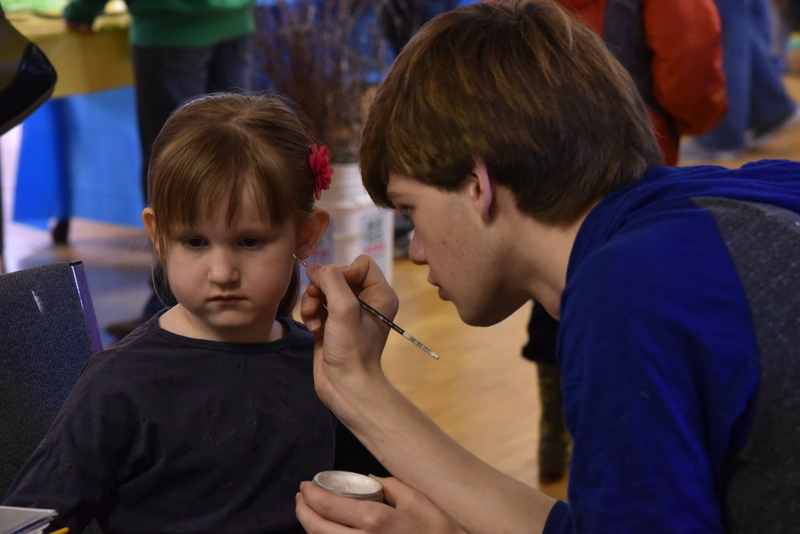 The Kelsey Theatre group presented a production second to none, called “The Great Kooshag Lake Fishing Derby.” It was enjoyed by all and Tom’s laughter could be heard throughout the theatre. 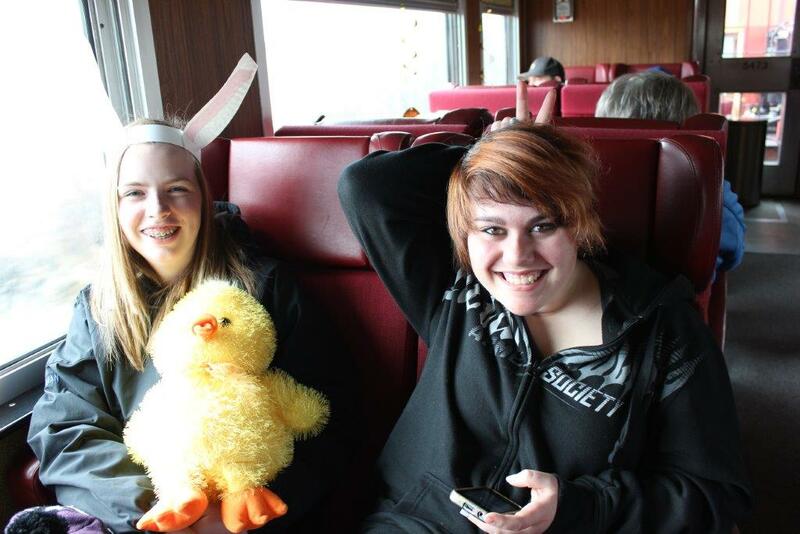 Tom and Marilyn could not say enough about their day on the rails. Marilyn remembered riding these same rails as a 6 year old with her Grandmother, from Galahad to Forestburg. She was given a nickel on that trip and she spent the whole amount on candy! 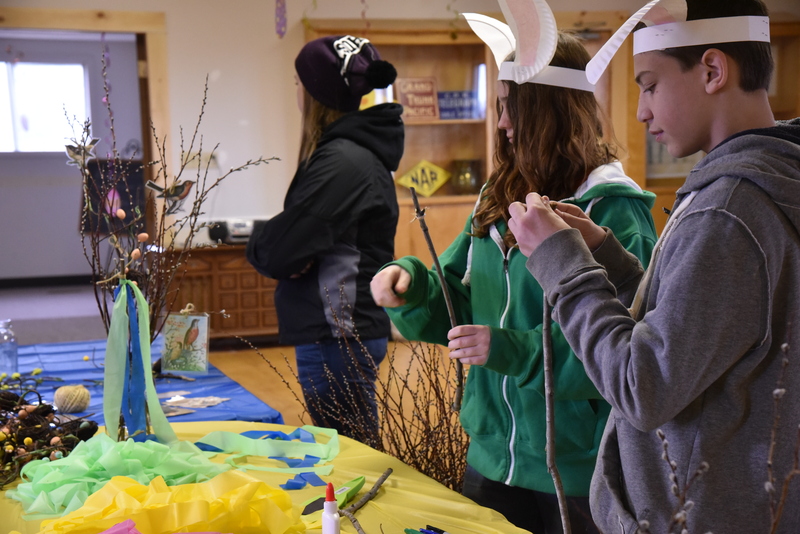 They enjoyed having their son Dan and wife Charlene from south of Galahad and daughter Marla and husband Kelvin from Pelican Point, as well as friends from Castor join them for this fun day. 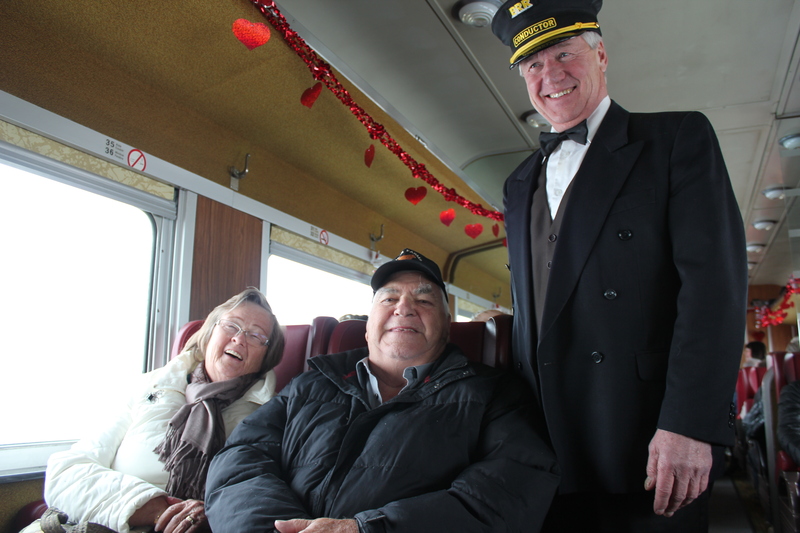 What a great opportunity for the Friends of the Battle River Railway to host these theme based excursions. We are in the process of planning 6 new excursions for the upcoming year. Our new brochures should arrive off the presses by Mid-March. Remember to get your tickets early as we have sold out our last 3 trips. Make sure to follow us on facebook (www.facebook.com/friendsofbattleriverrail) for up to date information and lots of photos of our trips. 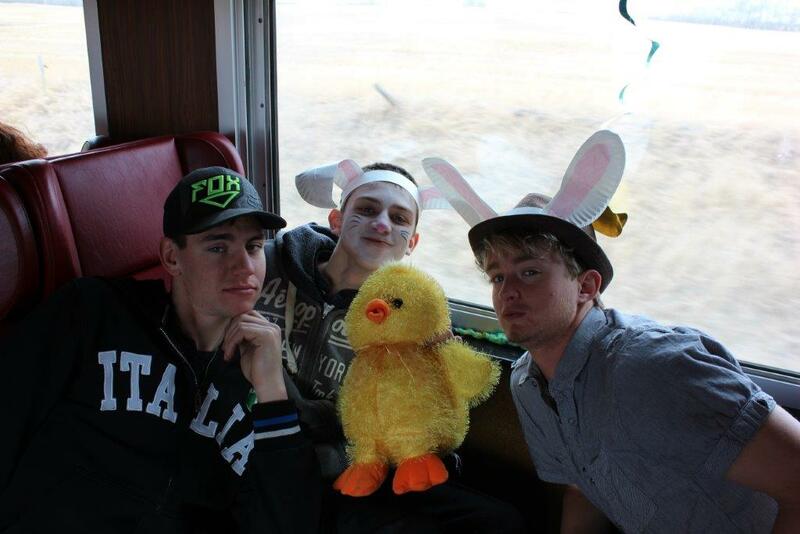 Thank you to all the passengers who contributed to yet another great day on the rails in Rural Alberta. Welcome to the Battle River Railway! With headquarters in Forestburg, Alberta, the Battle River Railway is a fully functioning short rail line with a super fun twist. Exchanging the usual boxcars for a beautiful vintage passenger car, The Friends of the Battle River Railway are delighted to offer a number of theme based, day exursions throughout the year. Each unique theme is carefully tailored to provide fun filled and a memorable experience for those with a hankering to ride the rails. Thanks to the Edmonton Journal for making this fantastic interactive tour of our rural shortline.